Declining natural resources, loss of biodiversity and climate change seriously threaten the environmental conditions necessary for human existence and the foundations of our economic prosperity. All these problems stem from the overuse of natural resources, which can be remedied if we follow sustainable development principles when planning the use of natural assets. Sustainable development, in addition to better management of natural resources, would add to inclusive and participatory decision making, and democratization of society. It is the best practice internationally and a long-term EU legal practice to assess sustainability at the planning stage of any proposed undertaking possibly affecting natural resources, and this is achieved through Environmental Impact Assessments (EIAs) for projects and Strategic Environmental Assessments (SEAs) for plans and programmes. In order to ensure comprehensive, objective, transparent and inclusive assessments, their decision-making processes provide for public consultations during which all interested and affected parties may state their opinion of the project, plan or programme. Although EIA and SEA appear only environment-oriented, they address a wide range of issues, such as rural and social development, sustainable resource use, participatory governance, environmental justice, etc. Therefore, civil society participation in these decision-making processes is critical to strengthening participatory democracies, increasing ownership over decisions that affect a society’s future and assisting the achievement of sustainable development. 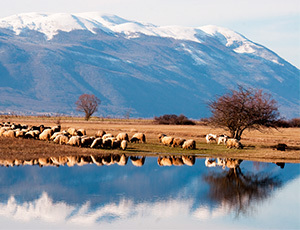 Countries within the scope of this Project – Albania, Bosnia and Herzegovina, Montenegro, Serbia and Turkey – have signed relevant international conventions (i.e. Aarhus Convention, Espoo Convention, Kiev Protocol) and transposed, either as a part of the EU accession process or as signatories to the Energy Community Treaty, directives prescribing procedures for assessing impacts (i.e. EIA Directive, SEA Directive, Habitats Directive) and requirements for evaluating impact (i.e. Habitats Directive, Water Framework Directive). However, implementation of these requirements by relevant public institutions is at best pro forma, resulting in poor quality assessments, significant impacts on natural resources, non-transparent decision-making process usually devoid of civil society participation, and lack ofownership of those projects by the wider public and especially local communities. This Project will build on an analysis of the quality of content and administrative procedures for hydropower sector EIAs and SEAs in South East Europe which was commissioned by WWF and the coalition of NGOs gathered under the EU-funded project South East Europe Sustainable Energy Policy (SEE SEP) in 2015. Although this analysis includes only hydropower projects, the identified deficiencies are systematic and lead to poor quality assessments at strategic and project levels. The analysis concludes that primary legislation, transposing basic EU directives, is not followed through sufficiently in terms of rules, regulations and guidelines, and if regulations are in place there is a widespread lack of application of standard procedures on the part of most competent authorities. In most countries the most serious failures relate to requirements for public consultation and transparent decision-making, reflecting unwillingness by the authorities to engage fully with local communities and NGOs through the prescribed processes of public participation. By expanding and refining the findings of the above analysis pertaining to Albania, Bosnia and Herzegovina, Montenegro and Serbia, as well as commissioning the same assessment for Turkey, this Action will formulate specific policy recommendations aimed at improving the regulatory framework.